Pgh Momtourage: Foster Love in February! For the month of February we're ready to show some extra * LOVE * to Foster Love Project! Foster Love Project provides love in action to foster children as well as support to the foster families who are providing care for them. They operate a free donation center and provide baby gear, clothing, diapers, formula, luggage + much more to kids in transition. 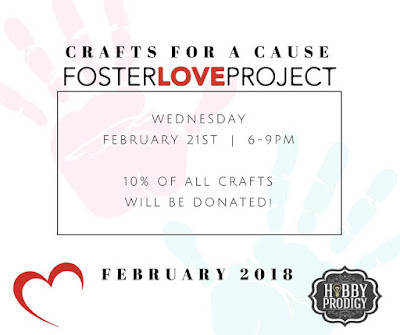 We are excited to team up with Hobby Prodigy at The Mall at Robinson for a night of fun to benefit Foster Love Project. 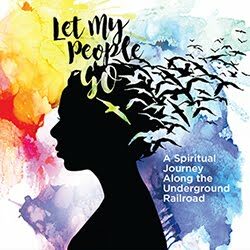 Hobby Prodigy is a unique DIY creating venue where they provide the supplies and instructions and you create a personalized project for your home. Photo coasters, breakfast trays, 6-pack caddies, bottle openers, photo frames, and jewelry are just some of the options to create! Join us at Hobby Prodigy on Wednesday, February 21, 6:00 - 9:00PM. Hobby Prodigy will be donating 10% of all craft proceeds to Foster Love Project on 2/21/18. Go here to view full crafting menu. *You must register ahead of time and select your craft in order to have a full pick of the craft menu. Otherwise, there will be a limited number of crafts available for you to choose to create. Please go here to register --> https://www.hobbyprodigy.com/reservation/. It's also BYOB and BYOFood. Most crafts take over 2 hours to create, so be sure to arrive close to 6 to be able to finish in time. Use the app, avoid the doctor's office!